Wilbert Burial Vault Co., Inc. of Indianapolis is a company dedicated to the manufacture and delivery of Wilbert® brand name concrete burial vaults. It is our mission and goal to use the finest materials in our manufacturing process and to provide the utmost service in delivery and cemetery setup possible. Our company has been in existence for 79 years and has been family owned operated to this day. 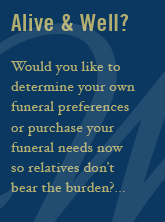 Wilbert Burial Vault Co., Inc. of Indianapolis was started in 1935 by Leo Baird and incorporated in 1938. Mr. Baird’s daughter Eleanor married Glenn Andrews who was the President until his retirement in 1980. Mr. Robert Rose who married Mr. Andrews's daughter in 1968 became President in 1980 and holds that position currently. Our employees almost always stay with us until retirement and become more like family the longer they are here. Our customers are particularly pleased because they are dealing with the same people all the time. Our employees get to know our customers and our customers get to know our employees. It makes for a perfect business relationship. All of us at Wilbert will continue to strive to make the best possible product we can while providing the best possible service.